When it was introduced back in 2007, Triumph’s Street Triple took the world by storm. When the R model came out later, it made an already class-leading bike even better. 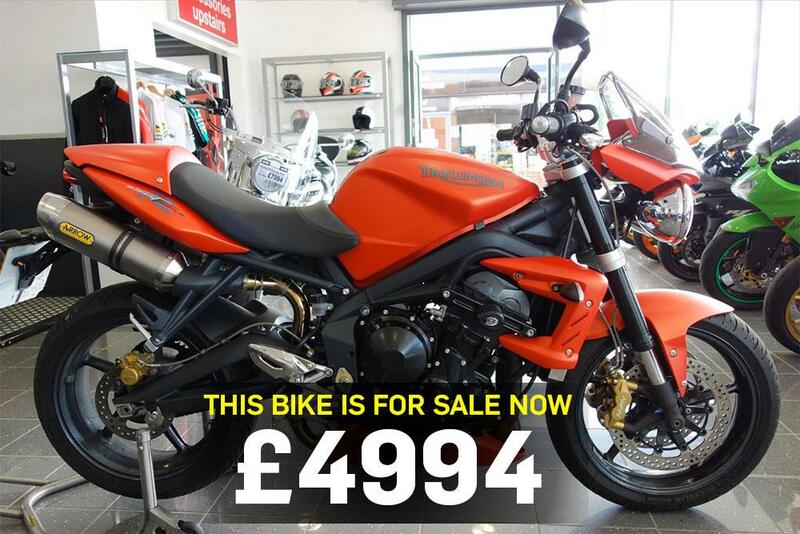 Triumph’s standard Street Triple mixes Speed Triple style with the tech of a Triumph Daytona675 engine. It's light, fast, fun, agile, stylish and cool. The 'R' version comes with fully-adjustable suspension and fiercer radial four-pot Nissin front brakes, making it the perfect bike to tempt UK riders away from their sportsbikes. If you're looking for a high-spec middleweight that blows the competition away, the Triumph Street Triple R is in a class of one. You can find this 2003 bike on sale here for £4994.